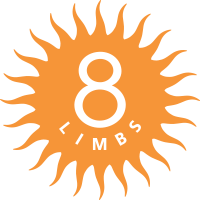 In addition to a full schedule of drop-in yoga classes, 8 Limbs offers six-week series, a great way to commit to yoga and build community while learning something new! From Intro to Deepening, you can explore them one by one to broaden your understanding and practice of yoga, then repeat and dive into any that most resonate with your practice. This series offers a basic look at meditation including; comfort, concentration, breath and mindfulness techniques. We will address questions and difficulties that arise from our practice and offer simple solutions so that meditation is practical and accessible to everyone. Students will complete the series with a solid foundation in meditation and techniques they can continue to use on their own. These series will focus on helping students to deepen their practice and gain further experience with various asana, pranayama, and subtler energetic components of yoga, as well as how to apply these in a personal practice.